Dead Space is right up there with the recent Resident Evil games as the poster child for those who believe the survival horror genre is slowly dying out. Fans decry the Visceral Games' popular series for taking the emphasis away from clunky controls and item management and streamlining a majority of the gameplay by having a super engineer blast his way through cheap thrills. It's a sad and cynical viewpoint, because Dead Space and its critically acclaimed sequel are actually very well crafted, fun, and terrifying games. The latest walkthrough trailer for Dead Space 3 shows off the 17 minutes aboard the Eudora, an ancient flotilla long forgotten by mankind. Isaac once again finds himself and his crew desperate to abandon a damaged transport ship. You'd think this guy would know to avoid any and all space vehicles this late in his career. Sucked out into space after barely securing his helmet and launching his friends' escape pod, he plummets at hundreds of miles an hour towards this massive ship, dodging bits and pieces of debris. Of course, Isaac's squad of throwaway soldiers are also cut off from his location, leaving the veteran monster slayer to deal with the latest batch of familiar baddies and save his friends from behind the scenes by working the rusty machinery of this ancient space station of doom. The point is, Visceral Games is deflecting the criticisms of their mutation of the survival horror genre and sticking to their guns to create the best game they can, and more power to them for it. Why waste your time pleasing those who will never be impressed when you can please the crowd you've already won over? Dead Space 3 probably won't win any awards for originality, but that's never been the series' selling point since the second game, has it? Playing with friends so you don't have to be scared alone and creating customized weapons from the ground up is all part of the series now, and Visceral's impressive track record shows they have the capability of taking their series whichever direction they want without adhering to outdated mechanics. I've been playing through Resident Evil 2 the last few days, and I'm more than pleased to see a few of these nuisances die out. 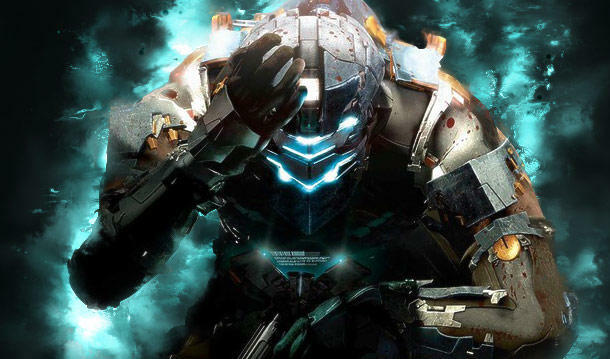 EA will be releasing Dead Space 3 next February 5th for the Xbox 360, PlayStation 3 and PC.